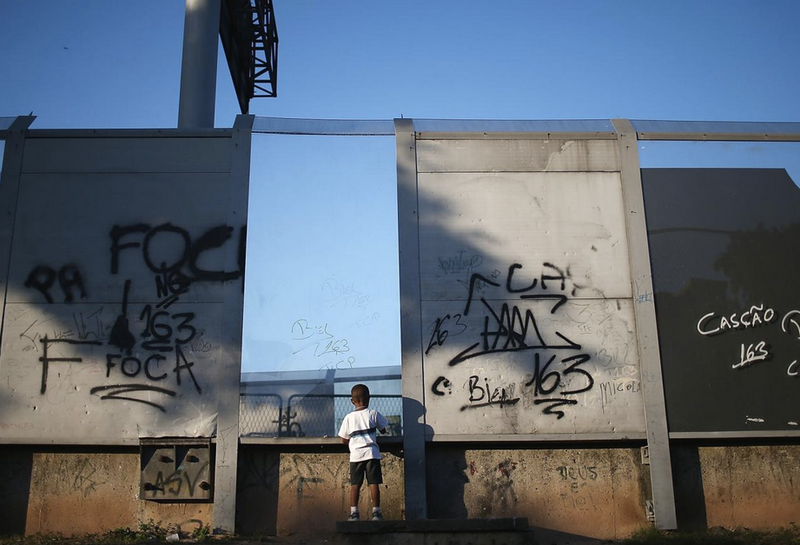 The displacement and mistreatment of poor communities characterize the dark side of the Olympic games. 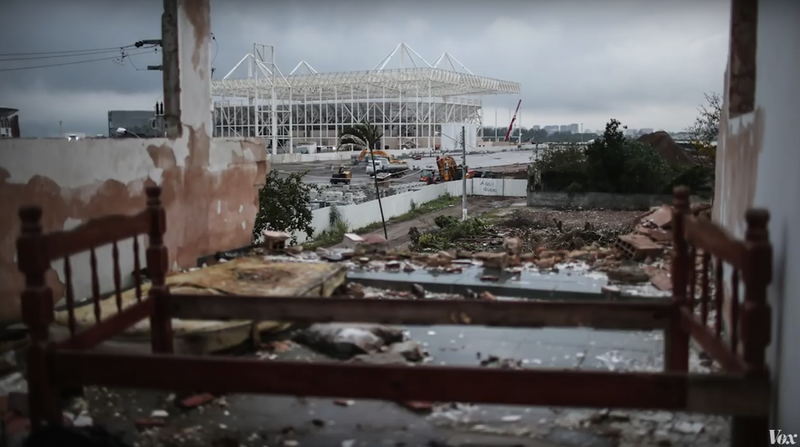 There are two types of development in Rio that characterize two vastly different lives. You can see the contrast on google maps. There's the organized grids that line the coast. Then there's the favelas. Growing out of the hills of Rio, these favelas are homes that were built by people who couldn't afford the developed housing. Brazil has one of the largest national income inequality gaps and it is evident in the communities of Rio. Many of these favelas were founded by freed slaves. The slave trade to Brazil used to be eleven times greater than the United States. Just Rio alone had a greater slave population than all of the south before the United States Civil War. As Rio continued to grow, the demand for labor also brought in many workers from other regions that added to the settlements in the hills. Favelas are fully functioning cities within cities. 25% of Rio residents live in these communities. Since these favelas were not built under permits, they also have make-shift electricity, sewage, and water systems. Favelas lack of governance leads to community led networks that tend to be especially conducive to vibrant streets filled with art and strong community networks. But many of the top dogs of Brazil see the poverty as inconvenient to development goals. 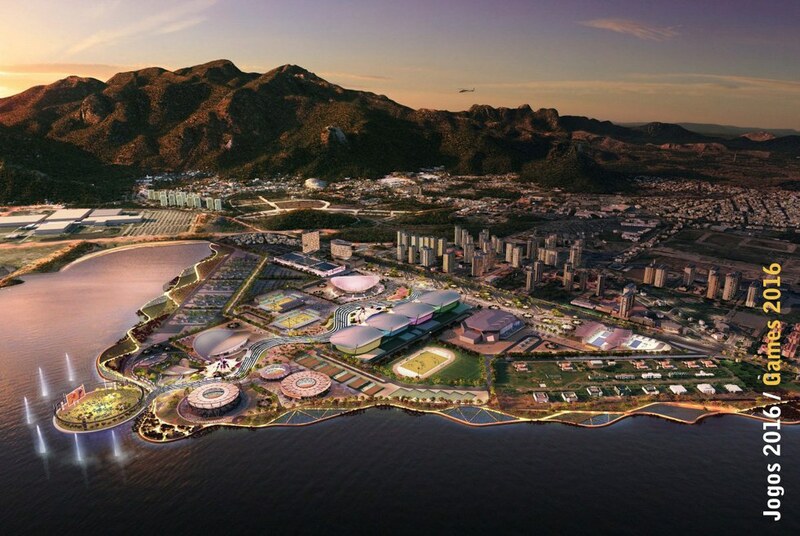 Carlos Carbalhi, owner of over of 6 million square meters of land in an area known as Barra, has developed this land to the current Olympic park. 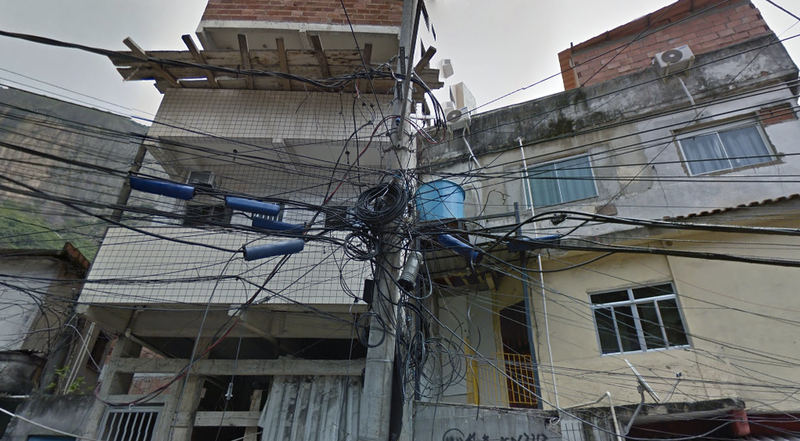 The mayor of Rio has also directed tens of billions of tax funds towards this new infrastructure. His vision was for Barra and much of Rio is to have a city that is cleared of poor communities. He said in an interview with the guardian, "We think that if the standards were lowered, we would be taking away from what the city – the new city – could represent on the global scene as a city of the elite, of good taste. For this reason, it needed to be noble housing, not housing for the poor.” The infrastructure of the Olympic housing operation was meant to accentuate just that. This development will also become luxury apartments after the games. Maybe it has to do with his generous checks to the mayor's campaign or his financial investments in the game, but his goals of relocating the poor came quickly. It began with bus routes changing. 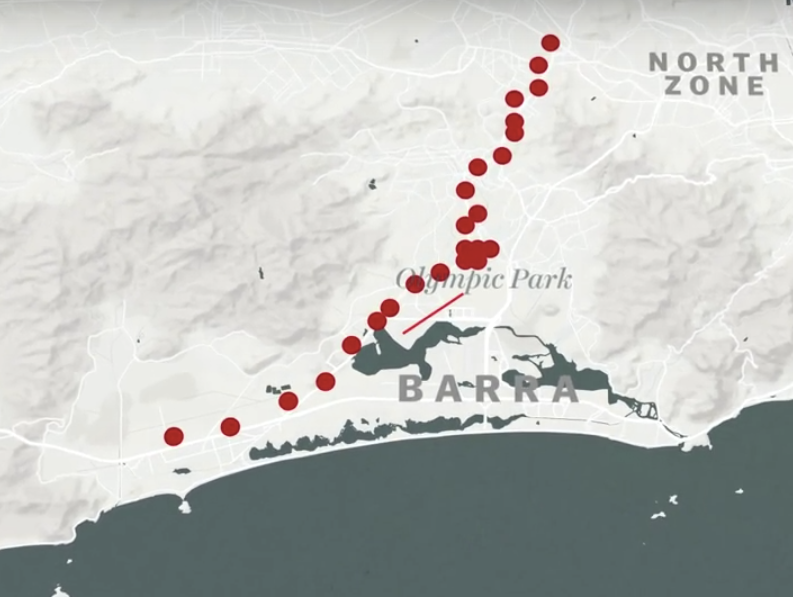 Northern Rio, where the poorer communities live, stopped having access to the iconic southern beaches. Caralhi and other wealthy elite didn't want barefoot people, poor people, hungry people from the favela slums to challenge the value of their real estate investments. People near the areas of planned developments began finding eviction notices on their doors. Relocations of favela communities happened in masses. People were moved inland far out of sight of the tourists. Many people accepted the new housing and checks from the government easily. Since the announcement of Rio hosting of the Olympic games, 200,000 people have been relocated away from their homes. This is a map of the communities that were targeted. But not all of the communities wanted to leave so willingly. Villa Autródromo is an area that isn't in Olympic park, but is visible from the borders of it. It had 600 families that came together during the relocation and stated to the city that they did not want to move. So the city responded with force. In the United States, there has been a vehement dialogue relating to police brutality. However, the rates of death are nothing compared to Brazil. In the U.S. there is 1 death out of every 37,000 arrests, but in Brazil that number is as high as 1 death in every 23 arrests. 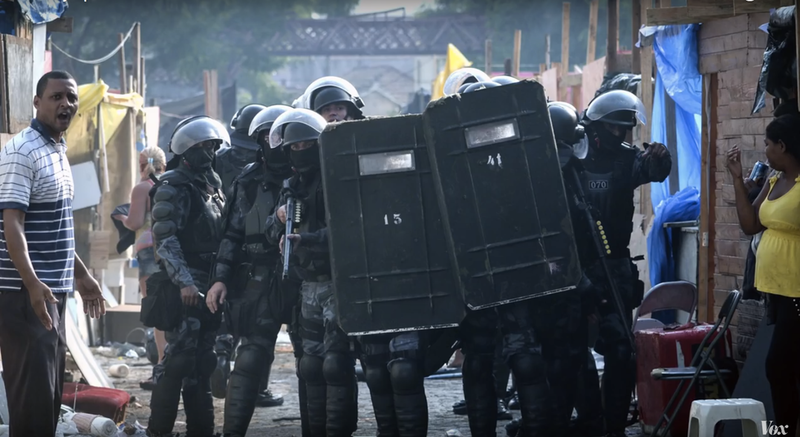 Although many of the homes in Villa Autródromo were destroyed, people still refused to leave and are still resisting even today. Now there are only 20 families left. For those last 20, the city finally allowed them to stay on the condition that they have their old homes rebuilt into new more aesthetically pleasing homes. Is this the real face of the legacy that the Olympics brings a nation? The displacement and disregard of locals seems to be one that has characterized the history of the Olympics. It happened in Bejing, London, Athens, Atlanta and just about every place that has ever hosted. Concerns about negative international attention have historically caused the relocation and hiding of poorer peoples. In the book The Best Olympics Ever?, Lenskyj argues that hosting the Olympics causes privileged members of society to benefit largely and the underclass to bear a disproportionate load of the burden. They face gentrification and therefore displacement. They economically far worse off after the games than before. There have been protest groups like Canada's 'Bread not Circus' that successfully opposed the reallocation of healthcare, welfare, and environmental budgets to the Olympic games. The Impact of the Olympics on Community Coalition (IOCC) arose in Sydney to protect the poor and the environment. This has been a pattern of the Olympics because of the government commitment of money to these games while neglecting urgent social needs. But instead these communities are met with a wall, built between them and the road from the airport.